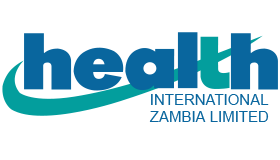 Health International has treated us more like family members than clients. Absolutely everything we have asked of them has been done efficiently, promptly and without a hint of reluctance. We have been members of the their medical insurance scheme for 20 years (under different umbrellas) but the quality of service, our satisfaction and the assurance of being looked after remained unchanged throughout. As a family, we have tested the system thoroughly, including an accident in Australia which cost us not a single dollar, a medical emergency in Zambia necessitating evacuation, several serious but not so urgent surgical interventions, minor procedures and consultations carried out in Lusaka, post operative follow-up and getting advice on what to do about numerous issues. All of us have been cared for by their team at some point. All medical bookings, letters of guarantee, payments and documentation have been dealt with in the most competent manner imaginable both locally and internationally. I would not hesitate to recommend HI as the Go-To emergency health insurance organisation. They have literally kept my family safe and healthy.